The laboratory was founded in August 26, 1931 by Ernest Lawrence as the Radiation Laboratory of the University of California, associated with the Physics Department. It centered physics research around his new instrument, the cyclotron, a type of particle accelerator for which he was awarded the Nobel Prize in Physics in 1939. Throughout the 1930s, Lawrence pushed to create larger and larger machines for physics research, courting private philanthropists for funding. After the laboratory was scooped on a number of fundamental discoveries that they felt they ought to have made, the "cyclotroneers" began to collaborate more closely with the department's theoretical physicists, led by Robert Oppenheimer. The lab moved to its site atop the hill above campus in 1940 as its machines, specifically the 184-inch (4.67 m) cyclotron, became too large for the university grounds. Lawrence courted government as his sponsor in the early years of the Manhattan Project, the American effort to produce the first atomic bomb during World War II, and along with Applied Physics Laboratory at Johns Hopkins (which helped develop the proximity fuse), and the MIT Radiation Laboratory (which helped to develop radar) ushered in the era of "Big Science". 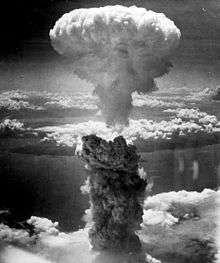 Lawrence's lab helped contribute to what has been judged to be the three most valuable technology developments of the war (the atomic bomb, proximity fuse, and radar). Using the newly created 184-inch cyclotron as a mass spectrometer, Lawrence and his colleagues developed the principle behind the electromagnetic enrichment of uranium, which was put to use in the calutrons (named after the university) at the massive Y-12 facility in Oak Ridge, Tennessee. 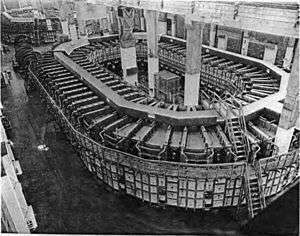 The cyclotron was finished in November 1946; the Manhattan Project shut down two months later. After the war, Lawrence maintained strong government and military ties at his lab, which became incorporated into the new system of Atomic Energy Commission (AEC) (now Department of Energy (DOE)) National Laboratories. For security purposes, classified weapons research was assigned to the more isolated locations, the Los Alamos National Laboratory (LANL) (established during the war) in New Mexico and the new laboratory at Livermore. Livermore, about an hour's drive southeast of Berkeley, was established at a former naval air station in 1952 by Lawrence and Edward Teller. Weapons-related and collaborative research continued at Berkeley Lab until the 1970s, however. Shortly after the death of Lawrence in August 1958, the UC Radiation Laboratory (both branches) was renamed the Lawrence Radiation Laboratory. The Berkeley location became the Lawrence Berkeley Laboratory in 1971, although many continued to call it the "Rad Lab." Gradually, another shortened form came into common usage, "LBL". Its formal name was amended to Ernest Orlando Lawrence Berkeley National Laboratory in 1995, when "National" was added to the names of all DOE labs. "Ernest Orlando" was later dropped to shorten the name. Today, the lab is commonly referred to as "Berkeley Lab". The Alvarez Physics Memos are a set of informal working papers of the large group of physicists, engineers, computer programmers, and technicians led by Luis W. Alvarez from the early 1950s until his death in 1988. Over 1700 memos are available on-line, hosted by the Laboratory. The laboratory developed the Calutrons used at Y-12 in Oak Ridge, Tennessee to create enriched uranium for the first atomic bombs. From the 1950s through the present, Berkeley Lab has maintained its status as a major international center for physics research, and has also diversified its research program into almost every realm of scientific investigation. The Laboratory's 20 scientific divisions are organized within six areas of research: Computing Sciences, Physical Sciences, Energy and Environmental Sciences, Biosciences, Energy Sciences, and Energy Technologies. Berkeley Lab has six main science thrusts: advancing integrated fundamental energy science, integrative biological and environmental system science, advanced computing for science impact, discovering the fundamental properties of matter and energy, accelerators for the future, and developing energy technology innovations for a sustainable future. It was Lawrence’s belief that scientific research is best done through teams of individuals with different fields of expertise, working together. His teamwork concept is a Berkeley Lab tradition that continues today. The Advanced Light Source (ALS) is a synchrotron light source with 41 beam lines providing ultraviolet, soft x-ray, and hard x-ray light to scientific experiments. The ALS is one of the world's brightest sources of soft x-rays, which are used to characterize the electronic structure of matter and to reveal microscopic structures with elemental and chemical specificity. About 2,500 scientist-users carry out research at ALS every year. Berkeley Lab is proposing an upgrade of ALS which would increase the coherent flux of soft x-rays by two-three orders of magnitude. The Joint Genome Institute (JGI) supports genomic research in support of the DOE missions in alternative energy, glocal carbon cycling, and environmental management. The JGI's partner laboratories are Berkeley Lab, Lawrence Livermore National Lab (LLNL), Oak Ridge National Laboratory (ORNL), Pacific Northwest National Laboratory (PNNL), and the HudsonAlpha Institute for Biotechnology. The JGI's central role is the development of a diversity of large-scale experimental and computational capabilities to link sequence to biological insights relevant to energy and environmental research. Approximately 1,200 scientist-users take advantage of JGI's capabilities for their research every year. The Molecular Foundry is a multidisciplinary nanoscience research facility that provides users with access to cutting-edge instrumentation and expert staff. Its seven research facilities focus on Imaging and Manipulation of Nanostructures, Nanofabrication, Theory of Nanostructured Materials, Inorganic Nanostructures, Biological Nanostructures, Organic and Macromolecular Synthesis, and Electron Microscopy. Approximately 700 scientist-users make use of these facilities in their research every year. The National Energy Research Scientific Computing Center (NERSC) is the scientific computing facility that provides large-scale state-of-the-art computing for the DOE's unclassified research programs. Its current systems provide over 3 billion computational hours annually. NERSC supports 6,000 scientific users from universities, national laboratories, and industry. The Energy Sciences Network (ESnet) is a high-speed network infrastructure optimized for very large scientific data flows. ESNet provides connectivity for all major DOE sites and facilities, and the network transports roughly 35 petabytes of traffic each month. Berkeley Lab is the lead partner in the Joint BioEnergy Institute (JBEI), located in Emeryville, California. Other partners are the Sandia National Laboratories, the University of California (UC) campuses of Berkeley and Davis, the Carnegie Institution for Science, and the Lawrence Livermore National Laboratory (LLNL). JBEI’s primary scientific mission is to advance the development of the next generation of biofuels – liquid fuels derived from the solar energy stored in plant biomass. JBEI is one of three new U.S. Department of Energy (DOE) Bioenergy Research Centers (BRCs). Berkeley Lab has a major role in two DOE Energy Innovation Hubs. The mission of the Joint Center for Artificial Photosynthesis (JCAP) is to find a cost-effective method to produce fuels using only sunlight, water, and carbon dioxide. The lead institution for JCAP is the California Institute of Technology and Berkeley Lab is the second institutional center. The mission of the Joint Center for Energy Storage Research (JCESR) is to create next-generation battery technologies that will transform transportation and the electricity grid. Argonne National Laboratory leads JCESR and Berkeley Lab is a major partner. The University of California operates Lawrence Berkeley National Laboratory under a contract with the Department of Energy. The site consists of 76 buildings (owned by the U.S. Department of Energy) located on 200 acres (0.81 km2) owned by the university in the Berkeley Hills. Altogether, the Lab has some 4,000 UC employees, of whom about 800 are students, and each year it hosts more than 3,000 participating guest scientists. There are approximately two dozen DOE employees stationed at the laboratory to provide federal oversight of Berkeley Lab's work for the DOE. The laboratory director, Michael Witherell, is appointed by the university regents and reports to the university president. Although Berkeley Lab is governed by UC independently of the Berkeley campus, the two entities are closely interconnected: more than 200 Berkeley Lab researchers hold joint appointments as UC Berkeley faculty and more than 500 UC Berkeley graduate students conduct research at Berkeley Lab. The Lab's budget for fiscal year 2015 was $790 million. Notable scientific accomplishments at the Lab since World War II include the observation of the antiproton, the discovery of several transuranic elements, and the discovery of the accelerating universe. Since its inception, 12 researchers associated with Berkeley Lab (Ernest Lawrence, Glenn T. Seaborg, Edwin M. McMillan, Owen Chamberlain, Emilio G. Segrè, Donald A. Glaser, Melvin Calvin, Luis W. Alvarez, Yuan T. Lee, Steven Chu, George F. Smoot and Saul Perlmutter) have been awarded the Nobel Prize. Seventy Berkeley Lab scientists are members of the U.S. National Academy of Sciences (NAS), one of the highest honors for a scientist in the United States. Thirteen Berkeley Lab scientists have won the National Medal of Science, the nation's highest award for lifetime achievement in fields of scientific research. Eighteen Berkeley Lab engineers have been elected to the National Academy of Engineering, and three Berkeley Lab scientists have been elected into the National Academy of Medicine. Elements discovered by Berkeley Lab physicists include astatine, neptunium, plutonium, curium, americium, berkelium*, californium*, einsteinium, fermium, mendelevium, nobelium, lawrencium*, dubnium, and seaborgium*. Those elements listed with asterisks (*) are named after the University, Professors Lawrence and Seaborg. Seaborg was the principal scientist involved in their discovery. The element technetium was discovered after Ernest Lawrence gave Emilio Segrè a molybdenum strip from the Berkeley Lab cyclotron. The fabricated evidence used to claim the creation of oganesson and livermorium by Victor Ninov, a researcher employed at Berkeley Lab, led to the retraction of two articles. Some inventions and discoveries to come out of Berkeley Lab include: "smart" windows with embedded electrodes that enable window glass to respond to changes in sunlight, synthetic genes for antimalaria and anti-AIDS superdrugs based on breakthroughs in synthetic biology, electronic ballasts for more efficient lighting, Home Energy Saver, the web's first do-it-yourself home energy audit tool, a pocket-sized DNA sampler called the PhyloChip, and the Berkeley Darfur Stove, which uses one-quarter as much firewood as traditional cook stoves. One of Berkeley Lab's most notable breakthroughs is the discovery of dark energy. During the 1980s and 1990s Berkeley Lab physicists and astronomers formed the Supernova Cosmology Project (SCP), using Type Ia supernovae as “standard candles” to measure the expansion rate of the universe. Their successful methods inspired competition, with the result that early in 1998 both the SCP and the High-Z Supernova Search Team announced the surprising discovery that expansion is accelerating; the cause was soon named dark energy. ↑ "About Berkeley Lab". Lawrence Berkeley National Laboratory. Retrieved April 18, 2016. 1 2 "Lawrence and His Laboratory: Chapter 1: A New Lab for a New Science". Lbl.gov. Retrieved July 12, 2009. ↑ "Ernest Lawrence and M. Stanley Livingston". American Physical Society. Retrieved May 9, 2014. ↑ University of California | Office of the President (accessed July 15, 2013). ↑ "Ernest Lawrence's Cyclotron". Lbl.gov. August 27, 1958. Retrieved July 12, 2009. ↑ "Research Areas at Berkeley Lab". Lawrence Berkeley National Laboratory. ↑ "The U.S. Department of Energy's Ten-Year-Plans for the Office of Science National Laboratories" (PDF). 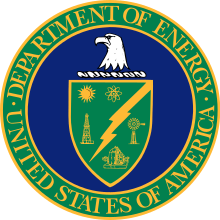 U.S. Department of Energy. ↑ "DOE Joint Genome Institute Strategic Planning Update" (PDF). Lawrence Berkeley National Laboratory. Retrieved May 8, 2016. ↑ "Facilities at the Molecular Foundry". Lawrence Berkeley National Laboratory. ↑ "DOE Energy Innovation Hubs". Department of Energy. ↑ "Joint Center for Artificial Photosynthesis". ↑ "Joint Center for Energy Storage Research". 1 2 3 4 "About the Lab". www.lbl.gov. Retrieved January 21, 2016. ↑ "Chemical Elements Discovered at Lawrence Berkeley National Laboratory". Lbl.gov. June 7, 1999. Retrieved July 12, 2009. ↑ Dalton, Rex (2002). "The stars who fell to Earth" (PDF). Nature. 420: 728–9. doi:10.1038/420728a. PMID 12490902. Retrieved April 21, 2012. Wikimedia Commons has media related to Lawrence Berkeley National Laboratory. "University of California Office of Laboratory Management". University of California. Retrieved April 18, 2016. "The Rad Lab - Ernest Lawrence and the Cyclotron". American Institute of Physics. Retrieved April 18, 2016. Heilbron, J. L.; Seidel, Robert W.; Wheaton, Bruce R. "Lawrence and His Laboratory: A Historian's View of the Lawrence Years". Lawrence Berkeley National Laboratory. Retrieved April 18, 2016. "A Century of Physics at Berkeley: Seedtime for "Big Science", 1930-1950". University of California, Berkeley. Retrieved April 18, 2016. "SPIE Video: Paul Alivisatos: Berkeley Lab director navigates uncertain times with a focus on research". SPIE. May 30, 2014. doi:10.1117/2.321405.05. Retrieved April 18, 2016.